MANILA, Philippines - Sen. Antonio Trillanes IV described yesterday (10 June 2016) as “a hatchet job” reports that the Aquino administration has awarded a contract for the maintenance of MRT-3 to a group that his relatives had incorporated. He cannot comment on a hatchet job of STAR columnist Jarius Bondoc, whom he accused of being pro-Vice President Jejomar Binay, Trillanes told The STAR through text message. Trillanes was asked to react to allegations that some of his relatives were part of the subcontractor who bagged maintenance contracts for MRT-3. Yesterday (10 June 2016) in Bondoc's column published in The STAR, Bondoc linked the seventh subcontractor, TriLink Technologies, to the number of contractors which failed to provide better services at MRT. TriLink was inexperienced in railways, he said. The firm was tapped for communications systems with no public bidding it was awarded PhP 7.28 million. Bondoc cited documents from the Securities and Exchange Commission which showed that TriLink has Henry Iriola Trillanes as incorporator-president-CEO. “Five other Trillaneses are incorporator-officers, with the same address,” read the column. 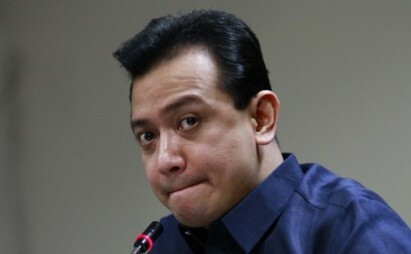 Comelec records identify Henry as the biggest contributor to the 2013 senatorial campaign of Antonio Trillanes IV. Bondoc referred to Liberal Party standard bearer and defeated presidential bet Manuel Roxas II and now president-elect Rodrigo Duterte.